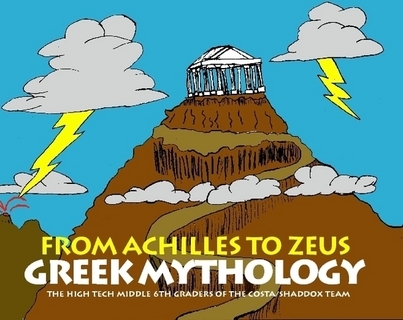 A collection of well-known Greek myths retold by 6th graders at High Tech Middle, San Diego (2010). Working in partners, students chose an ancient Greek myth to retell in a short story, using various literary devices. 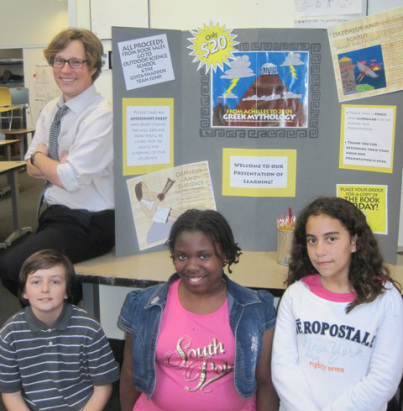 Students also researched aspects of Greek history or contemporary culture that related to their myth (connections and influences). Each myth was accompanied by vivid illustrations. 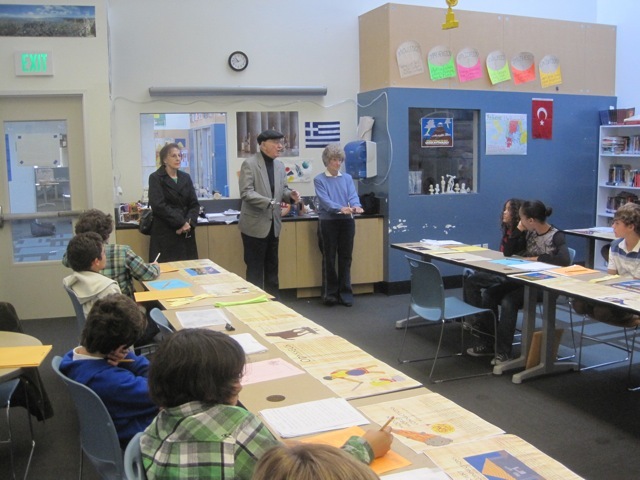 The book was presented at an exhibition to parents, teachers, students and members of the Hellenic Cultural Society of San Diego. 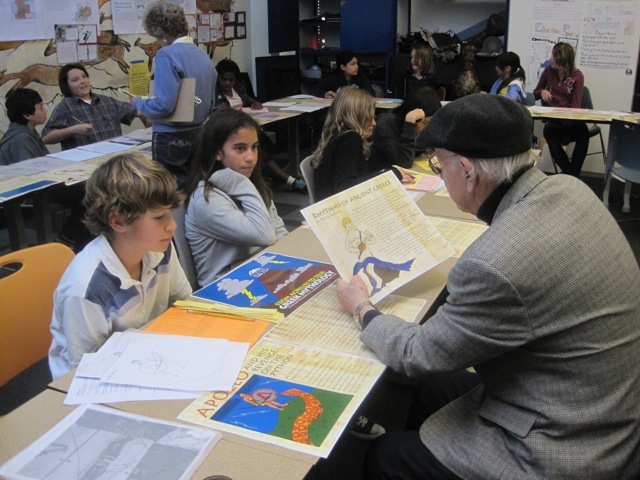 These experts on Greek mythology met with each pair of authors/illustrators and gave a final critique on the accuracy and imagination of the work.